Brochure pour Eurochlor, l’association représentant les intérêts des producteurs de chlore en Europe. Euro Chlor successfully regroups nearly all chlorine producers in Europe as well as chlorine-related associations for derivatives, solvents and paraffins into a strong, united organisation representing the chlor-alkali industry. Euro Chlor effectively represents the interests of chlorine producers in Europe. It works hard to provide a focus for communications with key influence groups on chlorine issues and benefits. 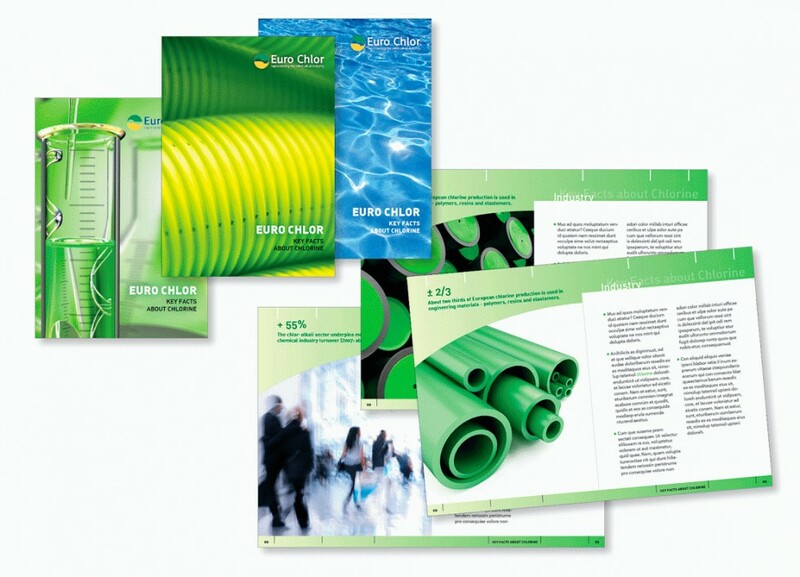 Euro Chlor promotes also the best practices in safety, health and environmental protection throughout the industry and has proved a sound defender safeguarding appropriate and essential applications.